The Skyline High Performance window (41 mm outer frame) is a projected top and side hung window suitable for both residential and commercial building applications. The Skyline high performance (41mm) offers various window configurations to best suit your fenestration requirements. 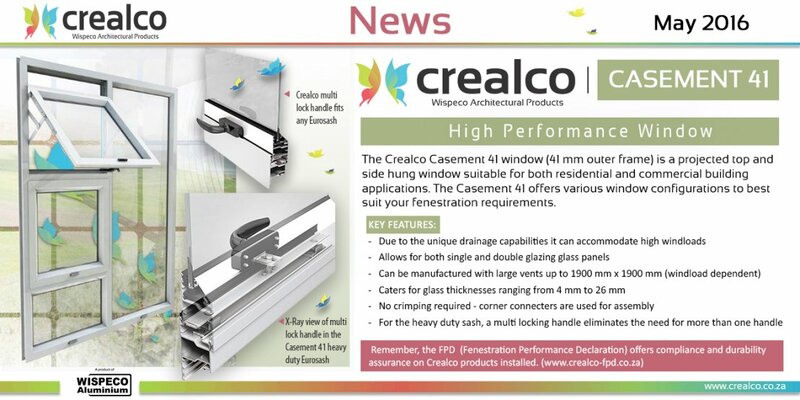 The system is available from all Crealco Distribution Partners, nationwide.